The Law of Vibration decrees everything is made up of energy, molecules vibrating a frequency, although we can’t see it with the naked eye. We live in an ocean of motion. Everything is energy, from the chair and desk that I’m using to our human bodies and yes…even our thoughts are energy. If you are thinking thoughts that are based in fear, worry, lack and doubt; you will attract that reality in your results. If you feel like you don’t have control over your own destiny and you are letting others influence your decisions…you will get results based in lack and resentment. This is how energy and the Law of attraction work. Now, we are all human and there are times when circumstances and our external reality can get the best of us. The problem arises when we permit ourselves to sit in the negative energy. One way to very quickly shift our energy, and it’s something all of us can do on one level or another is to connect with the pure, elevated vibration of nature. I tend to work A LOT! I love what I do, so it doesn’t feel like work, however sometimes I just keep going to the point of exhaustion. 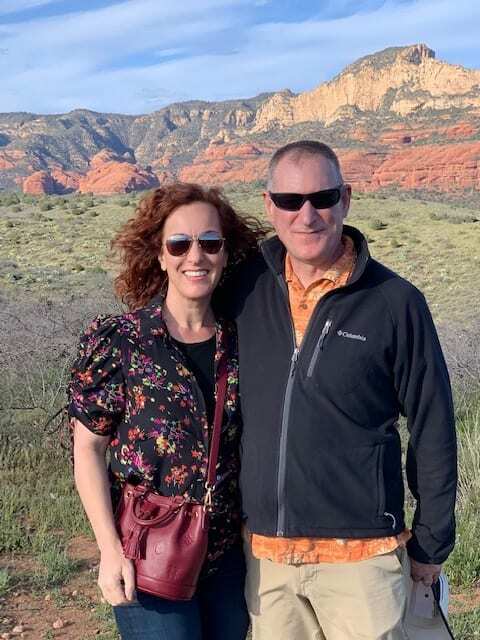 This past week, I had the pleasure of really being present in nature and with my husband as we traveled to Sedona AZ and the Grand Canyon. I took two complete days away from work and even though I felt physically tired from all of the traveling I was doing, there was just something about hiking in nature, connecting with the natural beauty and energy of nature that simply energized me. I also felt a deeper connection with my husband. I noticed we would walk by really cute stores and shops while in the town of Sedona and I didn’t want anything…strange, because this girl is a shopper, for sure! I can’t explain it, but I simply didn’t need anything…I just felt happy and fulfilled. I also noticed, when I went to a social gathering after my outdoors adventures and while I was traveling that I was attracting great conversations with random people…like I was magnetic and the life of the party. Instead of recharging myself by getting extra sleep or zoning in from of a TV, I connected with nature and received the beautiful vibration of nature. Taking everything in through my five senses grounded and elevated me at the same time. 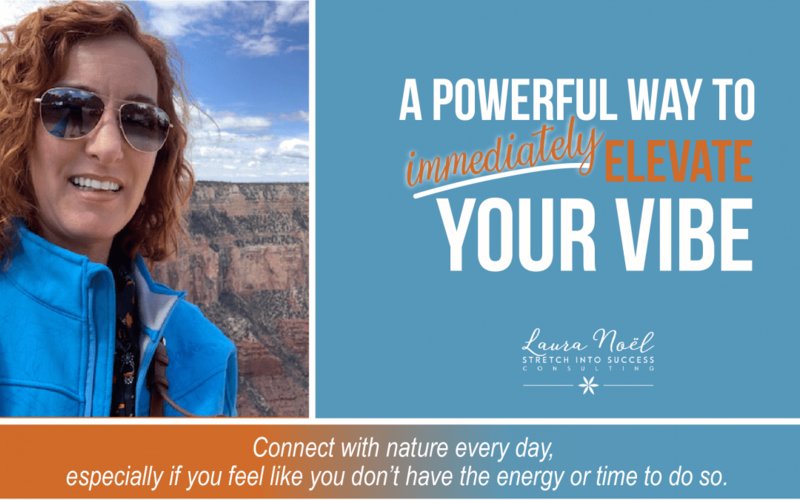 My simple, yet powerful advice to you is to connect with nature every day, particularly and especially if you feel like you don’t have the energy or time to do so. I promise, you will feel like a new person with a fresh, new outlook. If, for some reason, you can’t get outside for a walk, you can bring nature indoors. Surround yourself with fresh cut flowers or plants for a similar, gratifying and energizing effect. Better yet, surround yourself with like-minded people and get out there, go for a walk, hike, go on a picnic for lunch. That collective energy will pull you out of a funk and get you connected with everything you truly desire.